We proudly use Eminence Organic products for many of our organic body treatments. Eminence organic skincare products offer result-oriented, nutrient rich ingredients that tone, firm and hydrate your entire body. If you are looking to exfoliate and hydrate, choose one of our extraordinary Body Scrubs. If you are looking for a more intense treatment, choose from our luxurious Organic Wraps and be indulged with our antioxidant-rich ingredients that will brighten and tighten and refresh your skin from head to toe. We also offer our organic seaweed body treatments. Our seaweed is sourced from the coast of County Sligo, Ireland and is a certified organic, containing nutrient-rich, hand-harvested seaweed. This highly pure seaweed is hand-harvest under special license in areas recognized for their unprecedented natural beauty. Sustainable harvesting practices are used keeping the seaweed intact, allowing the seaweed to grow back to full size within 8 months, and causing no negative impact on the environment. This process allows this precious gift from the sea to be a fully renewable resource. After the seaweed is carefully selected, it is processed within 2 hours in order that the maximum amount of vitamins, minerals and proteins are locked inside and available for use in all of our seaweed body treatment offerings. No matter which you choose, you will love how smooth and moisturized your skin feels. Enhance your treatment by adding one of our extraordinary Massage Therapy services! Indulge your senses and treat your body to a completely rejuvenating experience with our deeply exfoliating Eminence Organic Body Scrubs! Packed full of antioxidants and nourishing ingredients, skin tone is left smooth and even. All body scrubs include the sugar scrub of your choice, plus a hydrating organic soufflé. All body wraps include an organic sugar scrub exfoliation, followed by the application of a nutrient and antioxidant-rich combination of organic fruits and herbs. The body is then cocooned in a heated wrap allowing for deep penetration of products. Following a luxurious, antioxidant-rich blueberry exfoliation, your body is wrapped in an exotic blend of nutrient-rich berries, improving elasticity and reinforcing collagen fibers. Your polished skin is then gently applied with a blueberry soufflé́, leaving it with a dewy finish that lasts all day and into the night. A wrap so decadent that it’s almost sinful! Following an exfoliating and hydrating antioxidantrich sugar scrub, the combination of cocoa, macadamia oil, and almond oil will make your body silky-smooth, nourished and completely hydrated. It’s a guilt-free, decadent dessert for your entire body! This combination of world famous, mineral-rich Hungarian thermal mud and stimulating cinnamon are combined to detoxify the body. To begin, your body is dry-brushed to increase lymphatic flow and circulation. You are then wrapped in Hungarian herbal mud to encourage the release of toxins. Finishing touch includes a hydrating, organic body lotion, leaving your skin soft and smooth. Escape to a tropical paradise! This amazing treatment begins with fresh organic fruit acids from mango and pineapple that gently exfoliate, dissolving dead skin cells and naturally unclogging pores, while supplying vitamins A, C and E to the skin. This allows your skin to drink in the vitamin-rich moisture of our honeydew body lotion. You will feel refreshed, hydrated and nourished, body and soul. Increase elasticity and improve the texture of your skin with this toning and nourishing treatment. Natural alpha hydroxyl, produced by sugar cane, will exfoliate the skin – while a fusion of nettle and ginseng tighten and firm the skin. Your body is cocooned in a pear and green apple wrap, which are high in antioxidants, followed by a hydrating pear and green apple soufflé rich in shea butter and holly leaf. This is the “pear-fect” way to get your body ready for a special occasion. Seaweed is nature’s most powerful antioxidant from the marine world. It fights against harmful environmental aggressors, thus slowing down the signs of aging. Seaweed strengthens the immune system and helps with the prevention of acute illness. 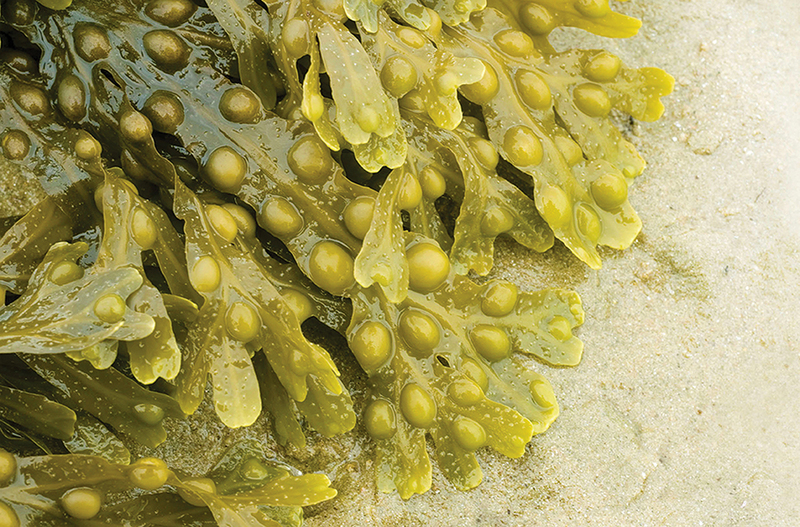 Seaweed-based treatments can deeply detoxify, hydrate and nourish the skin, hair and body. Seaweed naturally cleanses and purifies the skin, helping to improve suppleness and elasticity. We use wild seaweed that is sustainably hand harvested from the cleanest waters off the West Coast of Ireland, and are formulated to deeply nourish your skin and aid its natural ability to heal and repair. 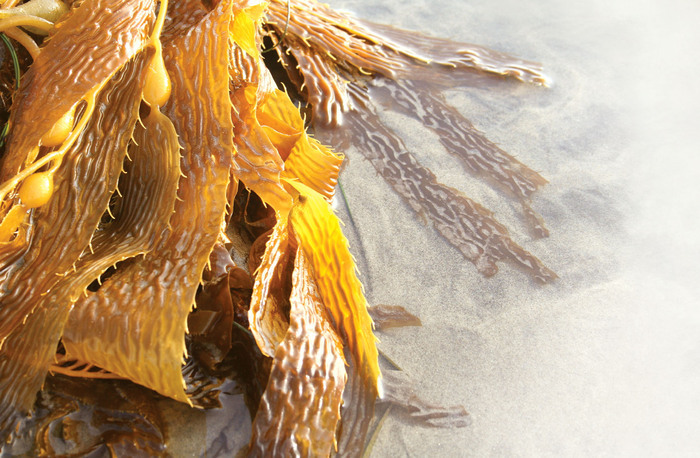 This special type of seaweed that is present in all of VOYA’s products, survives by filtering the ocean for nutrients, and as a result, amasses a huge amount of minerals and vitamins. 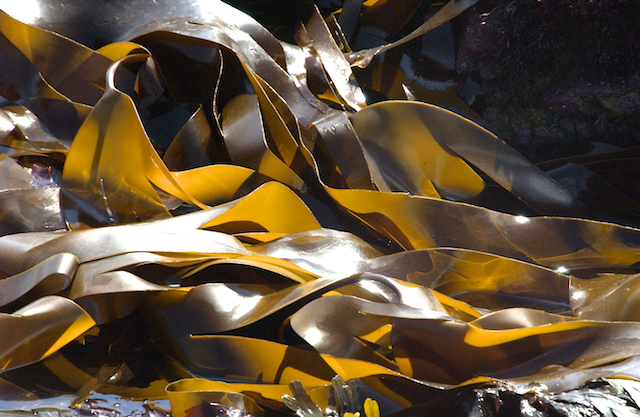 Oils from this seaweed have truly remarkable effects on skin, hair and body. Moisturizing, conditioning and detoxifying, the antioxidant compounds found naturally in this seaweed have a dramatic impact in the fight against aging, and will leave skin smooth and supple. All seaweed varieties have different traits. Laminaria Digitata, Tangleweed, has an extraordinarily high level of antioxidants. This seaweed offers immediate and noticeable effects to the skin, including increased firmness, reduction of fine lines, and increased hydration and protection. It helps to stimulate the production of collagen in the body, while strengthening the immune system, increasing vitality, and protecting it from free radical damage. This seaweed releases polysaccharides such as alginic acid, and iodine (which stimulate the metabolism) as well as other minerals that are beneficial to the skin, while stimulating the circulatory and lymphatic systems. This seaweed is extremely unique because of its shift in vitamin content depending on the time of year. It is harvested in the fall for its high vitamin C content and also in the summer for its high vitamin A content. This crème de la crème of body wraps is a signature VOYA treatment inspired by the sea. Fresh leaves of seaweed cocoon the body to deeply detoxify, moisturize, soften, and revive the body. This treatment begins with an exfoliation using finely ground seaweed, followed by a wrapping of seaweed leaves around the body. While the seaweed’s minerals, vitamins and amino acids work their magic, you will be treated to a relaxing scalp massage. *The seaweed used during this treatment is packaged for you to take home for two additional uses. VOYA Ocean Essence is an organic wrap treatment that stimulates blood and lymph flow. It detoxifies the skin and encourages the renewal of damaged cells through a full body exfoliation with ground walnut shells – which defines, tones and increases circulation. Fucus Serratus and Laminaria Digitata seaweed are combined to combat cellulite and muscle fatigue. Your skin will look and feel smooth, toned, and hydrated… and your body relaxed and rejuvenated. Fucus Vesiculosus is the seaweed used in this vitamin-rich body exfoliation. This unique seaweed treatment is the ultimate treat for tired, dull skin. The antioxidants found in this this mineral-rich seaweed, combined with pure seaweed oils, create a powerful, organic answer to healthy skin. After exfoliation, VOYA’s “Softly Does It” hydrating moisturizer is massaged into your glowing skin, leaving it soft and supple.